Offering a superior quality of PP Non Return Valve that are extensively used for controlling the flow of liquid or air. 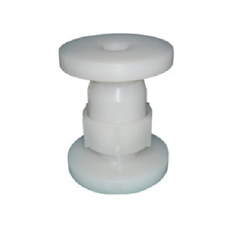 These Valves are manufactured using high grade PP, PVDF material and Neoprene rubber and with advanced technology. These precisely engineered valves are used in various applications in different industries such as sugar, chemical, pharmaceutical, medical, to name a few. The complete ranged of our products is known for best quality and excellent performance. We have been able to design and develop a wide array of PP Non-Return Valve Thread End. 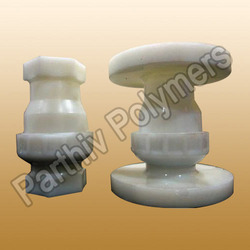 The offered thread ends are made using high-quality PP, PVDF material, and neoprene rubber. 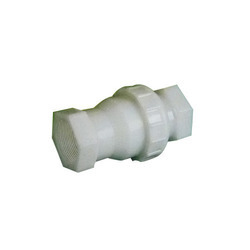 We are offering Flange End PP Non-Return Check Valve for the clients. These are developed using supreme grade raw material like PP, PVDF material and neoprene rubber in sync with the norms laid down by the industry. We are offering PP Non-Return Valves. These flange ends offered by us are known for their stress tolerance and surface hardness.